WINNIPEG, Man. – Payne Transportation has donated $4,000 to the Children’s Wish Foundation. The funds were raised from raffles during the carrier’s 6th annual Gala and Awards night, where employees and owner-operators join together to recognize achievements in safety and years of service. 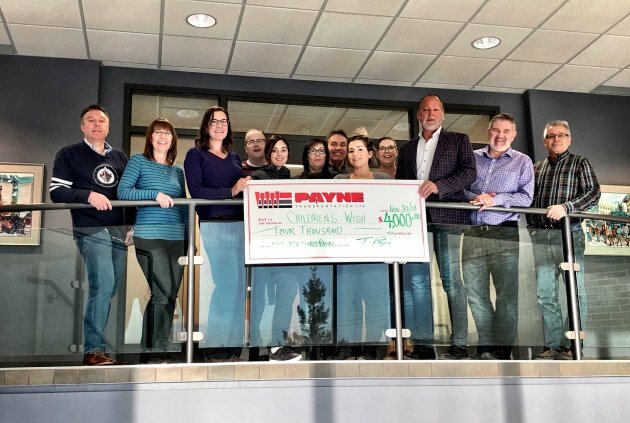 Payne Transportation presented a cheque to Aimee Rich of the Children’s Wish Foundation, and thank all the sponsors who helped make the event a success.